1. Five non veg or five veg kebabs. 2. Choice between mutton/chicken/veg biryani. 3. Daal makhani or Daal tadka with options of breads. 4. Senvayi kheer or Malai Kulfi. If you just walk in to this place, the above will cost you 850 bucks plus taxes which comes out to 1003 bucks per person, through groupon this comes down to 850 AI, however we applied another promotional offer on groupon and we got the above deal at 590 bucks per person. 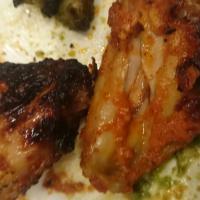 Chicken wings – 4.5/5, this was a crispy yet a preparation with tender chicken that was not loaded with spices but was amply spiced to give it a great taste, the best non Veg starter of the evening. Mutton Seekh kebabs – 3/5, the filling was tasty but the overall preparation was a tad disappointing of sorts as it was not tender enough to give it an authentic feel. Fish tikka – 4/5, the marination was good and it was tandoored to perfection but the fish didn’t feel as melt in the mouth as it should have been. 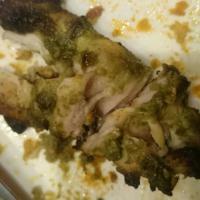 Chicken tikka – 3/5, it had a marination with a tinge of green wherein the marination could definitely have been better in terms of taste. 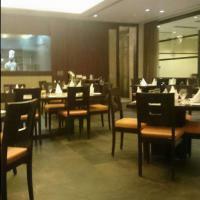 Tandoori Prawns – I am not a big eater of prawns and can’t stand the usual smell associated with it. I am no expert to rate this but I had a couple of bites and I could observe that it was devoid of any smell and seemed reasonably well prepared. I am sure it would have been a hit with prawn lovers. Cheese stuffed mushrooms – 3/5, it looked more tasty than what it really was and the mushrooms came off as boiled instead of being chargrilled. Assorted chargrilled vegetables – 3/5, again an ordinary sort of starters with only caramelized pineapples tasting better than others. Tandoori aloo – 3.5/5, a nice potato preparation that had a nice marination and had a smoky flavor going for it. Paneer Tikka – 4.5/5, this was very good, absolute melt in the mouth paneer, we found this among the best starters during the evening. Daal Makhani and lachha parantha – 4/5, we were more than half full by the kebabs and we wanted to save some space for the biryanis and we were in a mood to skip this. However on insistence by the serving staff we went for this and we found the Daal Makhani of high quality and it went nicely with paranthas. Mutton Dum Pukht Biryani – 4.5/5, after having 10 variant of Kebabs, Daal makhani and couple of paranthas here we were looking at the Matki full of Biryani covered with dough and we didn’t feel very hungry at this point of time. However as the dough was uncovered the aroma of the Biryani hit us and my hopes along with my appetite were sky rocketed in a moment’s notice. We had a gala time eating the Biryani, taking in the flavors and simply an amazing taste that is difficult to be matched in comparison to the places I have sampled biryani so far in Pune. The meat pieces were tender, Biryani was nicely spiced and it didn’t require any saalan or the accompanied raita to be made use of. As I was eating I just wished these moments don’t end as I felt like I was sitting in a centuries old mughlai delicacy place in Agra but here we were sitting in a five star in Pune where the Chef absolutely knew what he was doing with his Biryani preparation. 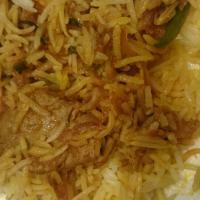 Chicken Biryani – 4/5, the taste of the Biryani was equally good with that of mutton variant but I have always been biased towards the mutton Biryani as it adds a bit more taste on its own and adds value to the preparation. 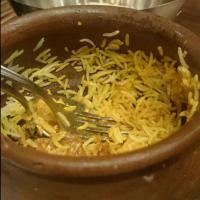 Also the chicken pieces lacked the taste the mutton chunks had in the mutton biryani. Desserts – 4/5, both the kheer and Malai Kulfi were a good way to finish off the meal and surprisingly we still had some space left to finish them off.